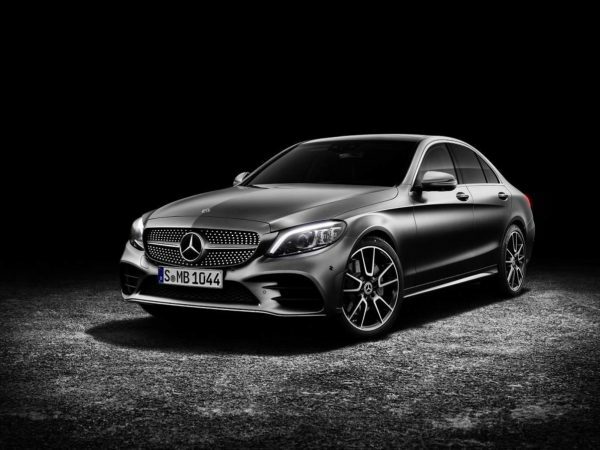 Mercedes Benz India has silently introduced a petrol variant for the recently updated C-class. The sedan was launched without any petrol engine option at first, but now it finally gets one. However, the petrol option is only available in the ‘progressive’ trim. The engine option that Mercedes has gone with here is a 1.5-litre, four-cylinder, turbocharged motor. The engine produces 184 PS of power between 5,800 – 6,100 rpm and 280 Nm of torque, coupled with a 48V electric starter motor for better efficiency. 0-100 kmph is achieved in 7.7 seconds and the sedan can hit a top speed of 239 kmph. It is also more fuel efficient than the older petrol engine it replaces. It is rated for 16.3 kmpl and 140 gms of CO2 per km. This being the progressive variant, it comes with the same features as the diesel-powered C 220 d Progressive variant. So it gets a panoramic sunroof, ambient lighting, open pore oak wood trim elements, active parking assist, electric sunblinds for the rear windows, LED headlamps, LED taillamps, 17- and 18-inch alloy wheel options and a 10.25-inch COMAND infotainment system. The C 200 is priced at Rs. 43.46 lakh (ex-showroom) and this car rivals the likes of the Audi A4 30 TFSI Premium which costs Rs 41.47 Lakh, the BMW 330i M Sport Shadow Edition which is priced at Rs 47.30 Lakh and the Jaguar XE 2.0-litre Petrol Pure which is priced at Rs 39.73 Lakh.